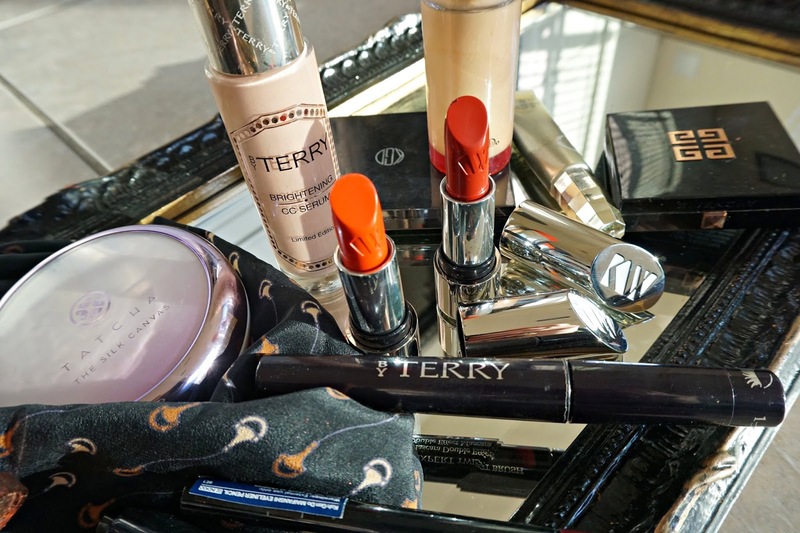 The *BY TERRY Holiday 2018 Gem Glow Collection is here! Ever festive and utilitarian, the Holiday 2018 releases from BY TERRY feature new LE releases and bundled favorites that make gift giving for others (and self!) tantalizing and opulent. I am happy to be able to share an overview of this launch, along with a peek at the new *Kjaer Weis + Caroline Issa Lipstick and a carefully-curated Cyber Week Shopping Guide because most sales are already in effect! 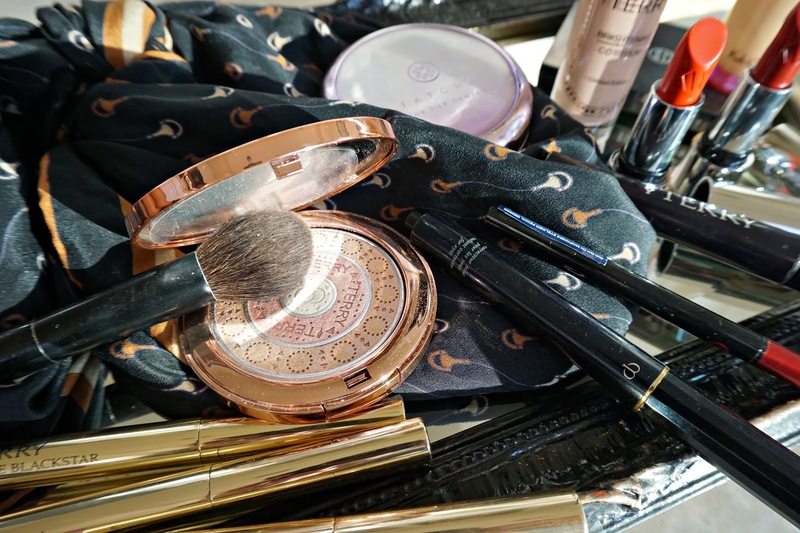 *BY TERRY Gem Glow Beauty Favorites Set: Featuring a mini Baume de Rose Gloss, mini Hyaluronic Hydra-Powder, mini Terribly Mascara and mini Ombre Blackstar in Bronze Moon, this adorable quartet reflects the very best of BY TERRY in makeup bag-friendly sizes you'll use daily. 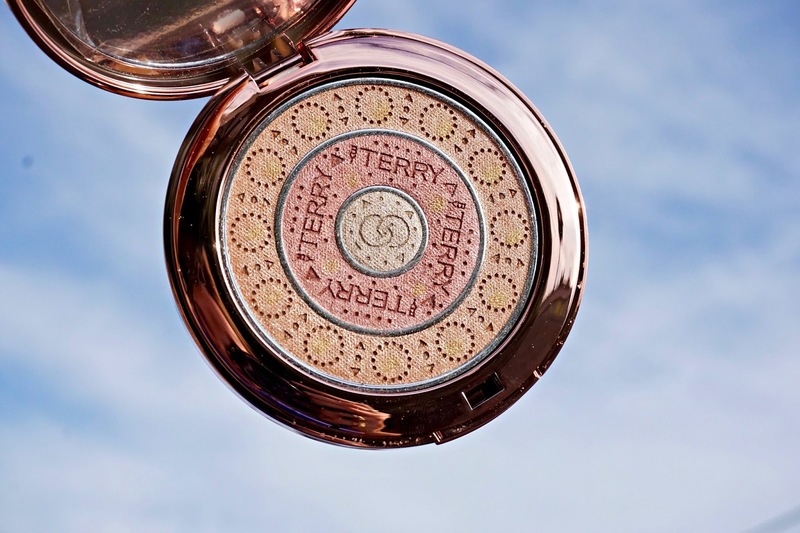 *BY TERRY Gem Glow Trio Compact: A LE release that is well worth the pursuit, this breathtakingly beautiful powder has three rings of radiance...the outer ring adds warmth, the center ring creates a soft pink flush and the center ring is a dazzling pearl highlighter. Apply them separately for precise results and mix them together to perfect the complexion in a single sweep. Get this. 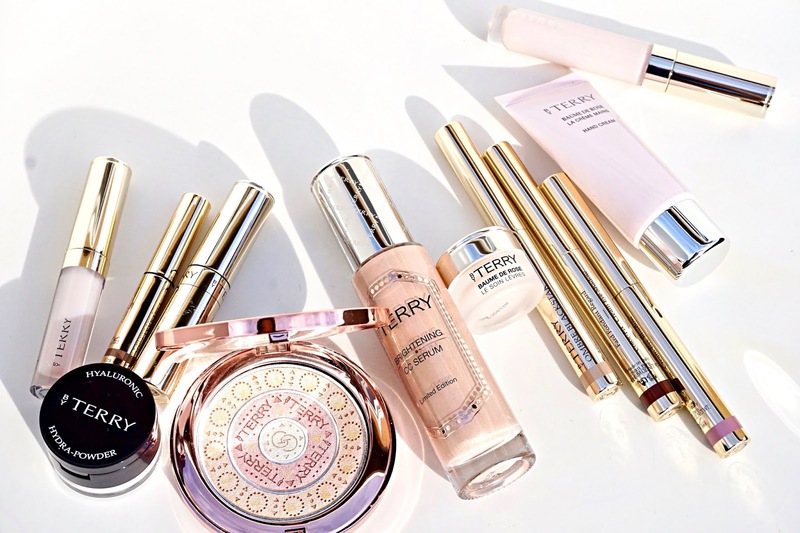 *BY TERRY Gem Glow Brightening CC Serum: This soft rose gold-inspired CC cream (seemingly a blend of shades #2, #3 and #4 in the original formula) imparts skincare benefits and a subtle glow that will compliment a spectrum of skin tones. *BY TERRY Baume de Rose Lip Care: A cult classic in a diminutive form, this mini Baume de Rose transforms from adorable ornament for the tree or stocking stuffer to the lip formula of your dreams. *BY TERRY Gem Glow Ombre Blackstar Set: If you haven't yet tried the Ombre Blackstar formula (which, incidentally, I've been writing about since the early days of BP), this is the perfect moment to indulge. The silky, pigmented and extremely (crease-free) long wearing cream shadow blends with ease and looks sensational on eyelids of all ages. This set comes with three best sellers: the divinely neutral Bronze Moon, perfectly effortless Blonde Opal and swoon-worthy mauve Misty Rock. I mixed the three together in the eye look at the end of the post. *BY TERRY Baume de Rose Set: Consisting of a full sized Baume de Rose Gloss (a nightstand constant for me) and a deluxe mini version of the luxurious Baume de Rose Hand Cream, this is the quintessential gift for rose lovers, balm addicts, hand cream aficionados, tastemakers, those who like nice things...in sum, basically everyone. // THE FULL LOOK // Ultra smooth skin, bronzy lids and bright red lips to usher in the season ahead. Tatcha The Silk Canvas: Inspired by the stellar reviews on this skin refining primer (blurred pores and fine lines...yes please! ), I recently ordered it and am so glad I did. The gossamer balm texture glides over skin to create the smoothest canvas possible. So good. *BY TERRY Gem Glow Brightening CC Serum: One pump distributed all over my face with my fingertips creates a fresh glow that actually extends the life of my foundation. *Koh Gen Do Maifanshi Aqua Foundation #143 (reviewed HERE): This foundation has been in rotation for years; radiant medium coverage with a HD skin-like finish is fortified with skincare benefits and long lasting wear. I like to apply a pea-sized amount with a dampened Beauty Blender for the most natural looking result. 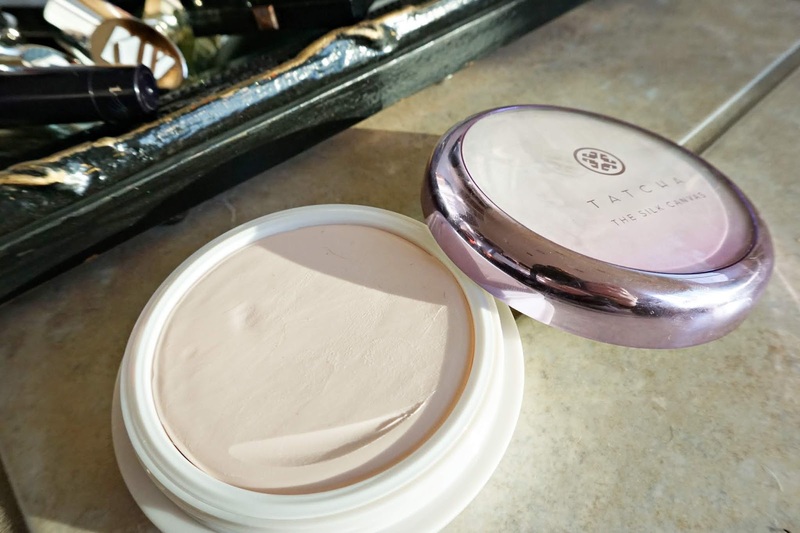 *Clé de Peau Beauté Radiant Corrector in Almond (reviewed HERE): I swept a touch of this under my eyes to conceal and brighten (without obvious shimmer). This is a must in my makeup bag. *Givenchy Bronzer #4 (reviewed HERE): I reach for this true brown hue frequently due to its lightweight texture and ability to simultaneously contour and add warmth to the complexion without the slightest trace of texture. 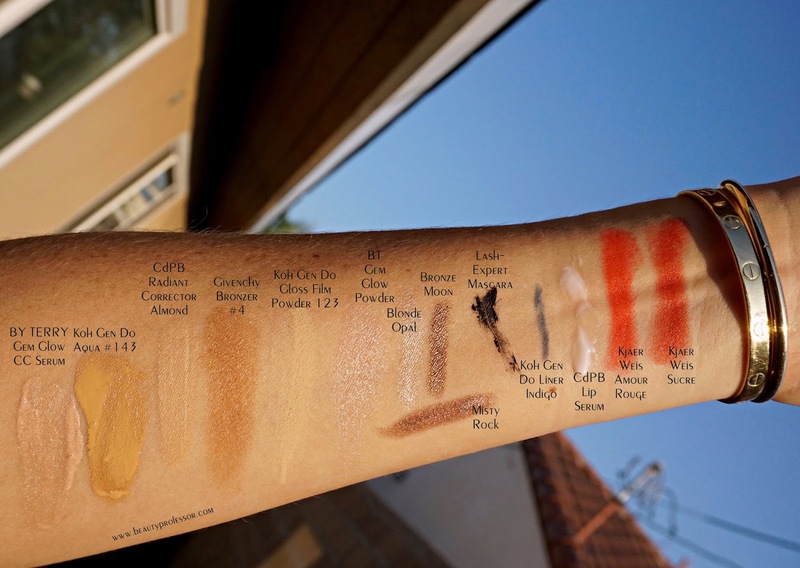 It's especially divine for medium, olive, tan and deep skin tones. *Koh Gen Do Gloss Film Powder #123: No matter the weather, I use a touch of this powder daily to set my T-zone and touch up after a long day. The formula has a slightly dewy finish (read: zero powder look) that provides medium coverage and a flawless outcome. *BY TERRY Gem Glow Trio Compact: I swept a mix of the three shades along the high points of my face (upper cheek bones, center of forehead, down the bridge of the nose and at the chin) for a subtle radiance that makes skin look lit-from-within. *BY TERRY Gem Glow Ombre Blackstar Set: As aforementioned, I used all three shades (Bronze Moon all over the lids and along the lower lash line, Blonde Opal up to the brow bone and a touch of Misty Rock at my crease) for a lush, neutral, multi-dimensional effect that doesn't budge. *Koh Gen Do Maifanshi Eyeliner in Indigo: I am loving this rich denim blue shade and find it makes a perfect companion for the lower waterline...it's an unexpected twist on traditional black. BY TERRY Lash-Expert Twist Brush Mascara: Two coats for the fullest, fluffiest and longest natural lashes in town. *Clé de Peau Beauté The Lip Serum: I swept a touch of this nourishing lip serum (which has become a daily habit) along my pout as a hydrating primer. The rave reviews are not an exaggeration...I don't know what I ever did without it. 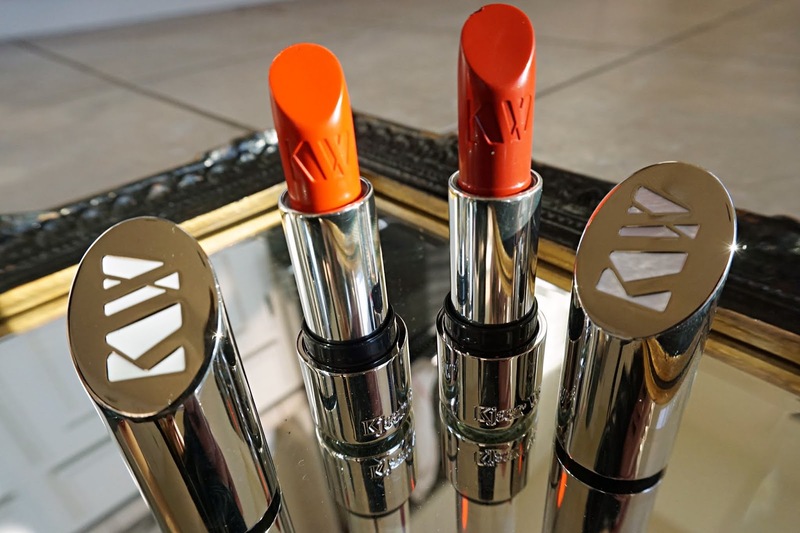 *Kjaer Weis + Caroline Issa Lipstick in Amour Rouge and Sucre: The latest from green beauty pioneer Kjaer Weis, these two crimson shades are the culmination of a collaboration with magazine publisher and style icon Caroline Issa. 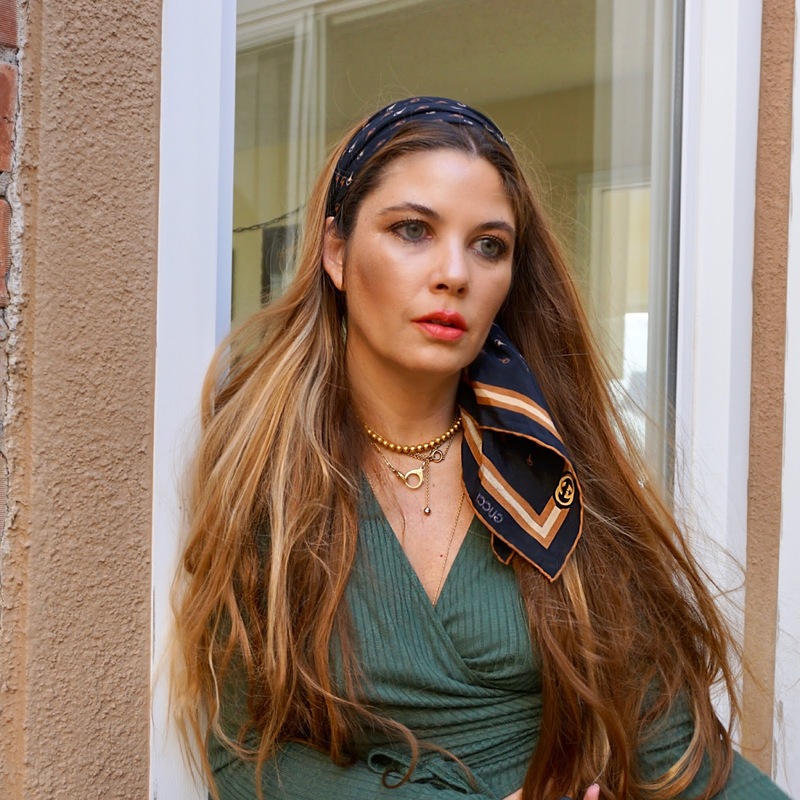 25% of the proceeds of the shades Amour Rouge (a orange-based red also worn at the end of this post) and Sucre (a true just bitten carmine that can be layered for intensity) will be donated to Women for Women International, which helps women in conflict torn countries like Afghanistan and Nigeria. The formula is packed with good-for-you ingredients and the color payoff and lasting power reflect the sublime quality that we've come to expect with the resplendent Kjaer Weis line. 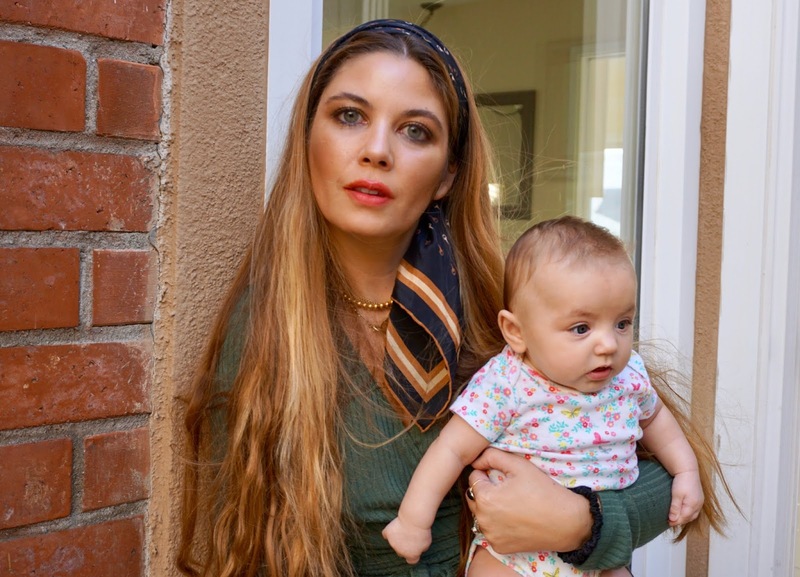 With precious baby Johannah...I cannot believe that she is now 4 months old! 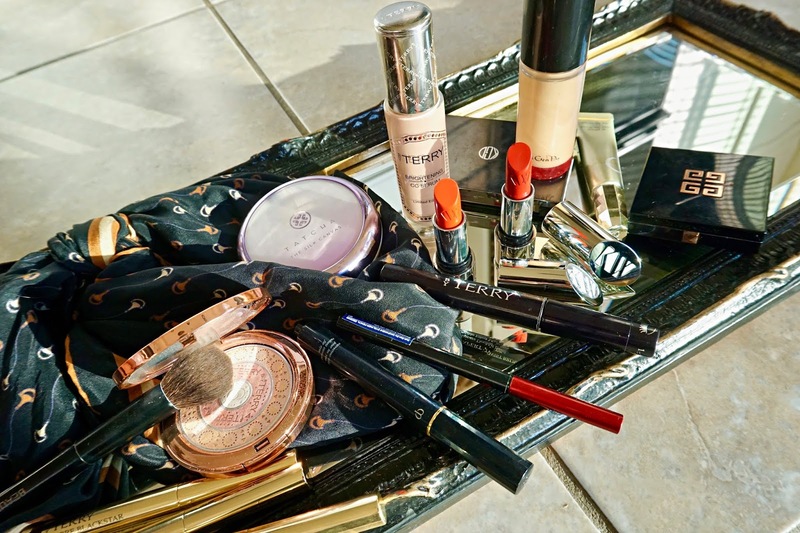 Charlotte Tilbury: 40% off a myriad of beauty kits including this pick 3 Lip Cheat option. Equipment France: 30% off your entire purchase with code THANKS. I'll be picking up this Meadow Silk Dress, Dante V Back Cashmere Sweater and the Essential Shirt in black and lilac. 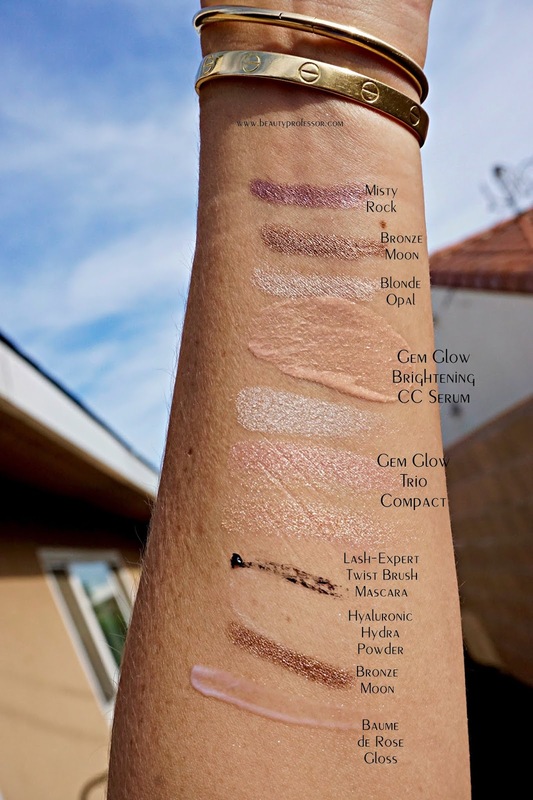 Hourglass Cosmetics: $20 off orders of $125+, $30 off orders of $150+ and $50 off orders of $200 or more. I recommend the Caution Extreme Lash Mascara, Vanish Foundation Stick (reviewed HERE) and Confession Lipstick Set (in the prettiest pink cases...review HERE). Neiman Marcus: $50 off $200 or more (includes beauty and fragrance...MFK Baccarat Rouge 540 refill, here I come!) with promo code THANKFUL plus tons of markdowns in the Designer Sale like these gorgeous Eileen Fisher Slingbacks, Chloe Aviators, and this Club Monaco Cashmere Sweater in the most gorgeous winter cream shade. Nordstrom: Up to 60% off so many things! I'll be adding this wubby fleece pullover, Spanx Faux Leather Leggings in some other colors (I bought the black pair last year and they are the best I've ever tried) and Monica Vinader Riva Diamond Hoop Ring to my cart. Reformation: 30% off EVERYTHING, site-wide. I just placed an order and bought the Cynthia jeans in the San Lucas wash...no holes and a perfect medium blue(size up 2 sizes for best fit as they run small), Maine top in a size Medium, Guss Tee in Matcha and Black in a size Medium and Joplin Tee in Sage size Medium (I like a bit of extra room and flow in my tee shirts). Sephora: Up to 50% off a variety of favorite products including the Surratt Lipslique in Fee Soie (a lifetime HG), Surratt Surreal Real Skin Foundation (reviewed HERE) and Surratt Artistique Sculpting Brush. Shopbop: Thousands of items on sale...use code MORE18 to save 15% off orders of $200+, 20% off orders of $500+ and 25% off orders of $800+. I'm being called by these classic Ferragamo pumps, Madewell Whisper Cotton Tee and Ksubi Arrow Jeans. Space NK: Buy 1 Get 1 Half Off...I'll be stocking up on the Chantecaille Future Skin Foundation, BY TERRY Touche Veloutee and Oribe Gold Lust Shampoo, which is a daily go-to. 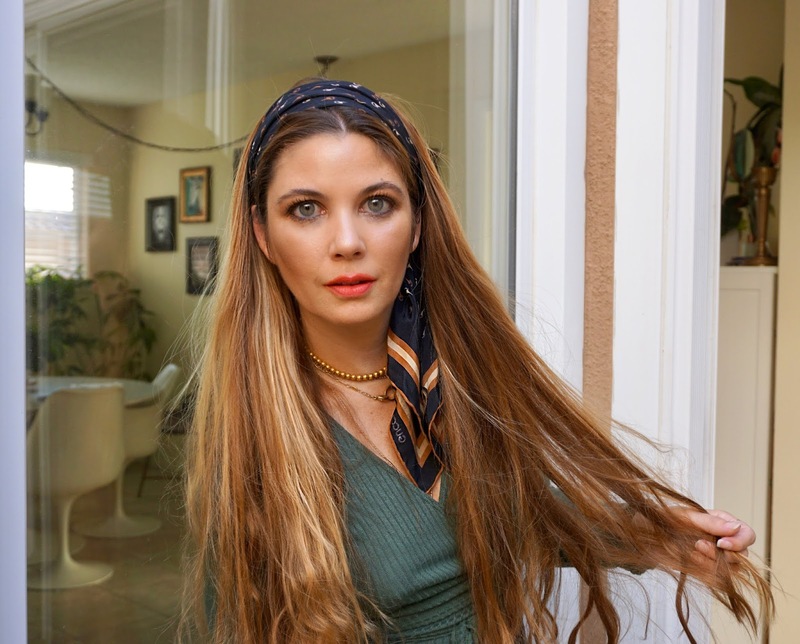 The Real Real: 20% off with code REAL and a host of new markdowns in the Black Friday sale (on now)...I'm intrigued by this Louis Vuitton cube ring, Hermes Hair Clip and Gucci Silk Scarf. 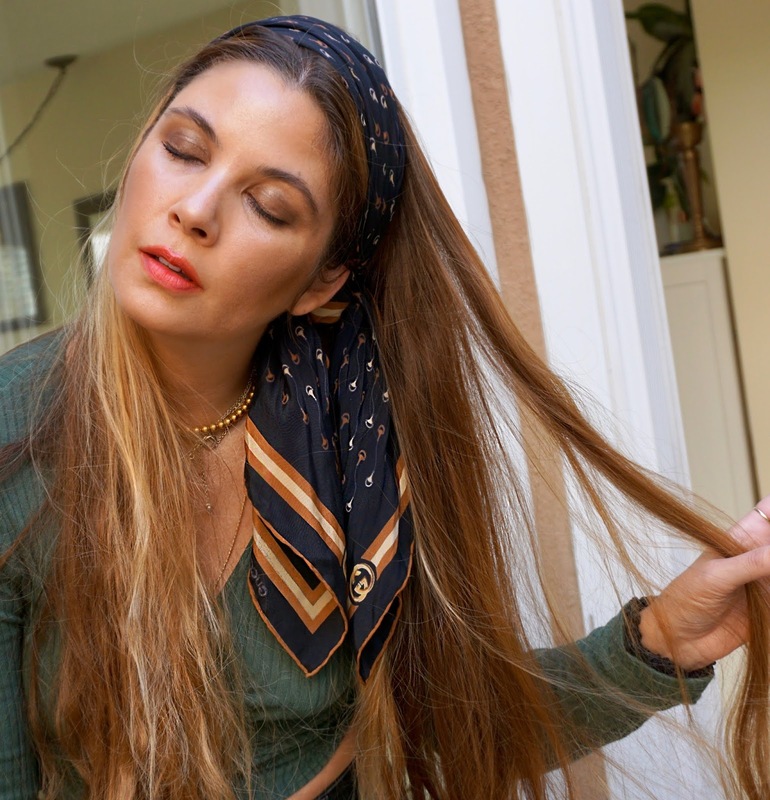 Bottom Line: I hope you enjoyed this overview of the brilliant *BY TERRY Holiday 2018 Gem Glow Collection and subsequent look featuring the *Kjaer Weis + Caroline Issa Lipstick in Amour Rouge and Sucre. What caught YOUR eye? Do tell! Additionally, I hope you found my pre-Black Friday shopping guide a helpful tool for streamlining your online pursuits this weekend...what's in your cart? Good things ahead, including an updated Cyber Monday shopping guide, a fresh video, a nursery tour and a host of new product procurements. I am so truly grateful for you dear readers and wish those of you who celebrate an absolutely beautiful Thanksgiving! Happy Thanksgiving to you and your family Rachel. Extra love to your beautiful daughter.